Happy Tuesday! Or should I say Happy First Week of Tigers Football! I always get so excited for football season. And honestly, it probably has just as much (if not more) to do with the tailgate parties, food and fashion! 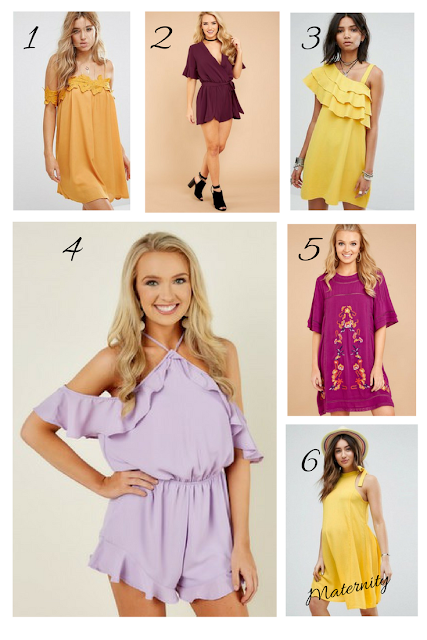 Today, I'm sharing all of my Purple and Gold fashion finds with you. And for the rest of you looking for outfits in a different color scheme, I'll still have some tips and tricks along the way! 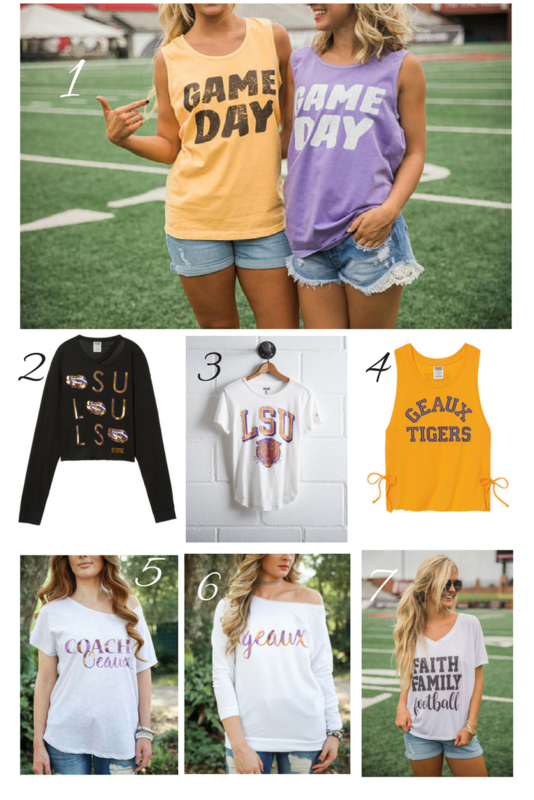 My personal favorite way to shop for game day is to buy everyday pieces in my team's color scheme. (luckily, I already love purple.) But, this allows me to still feel like myself while showing my school spirit. Plus, they are pieces that can get lots of wear all year and in many venues. 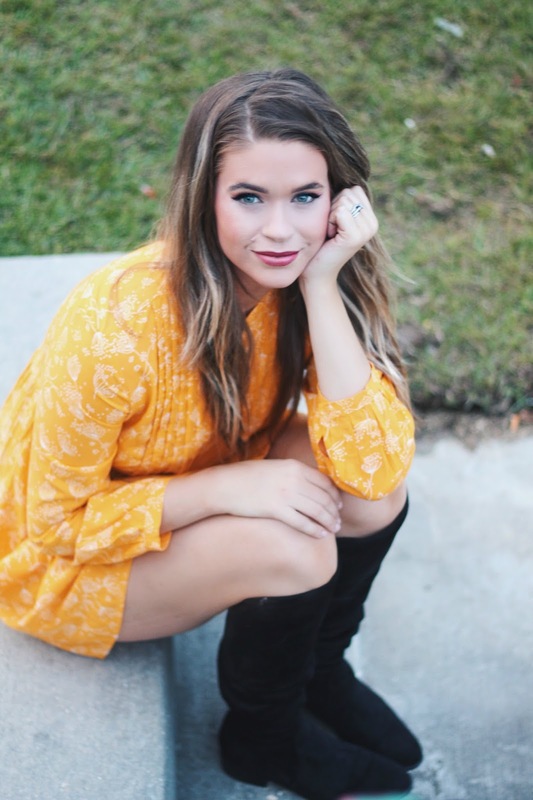 Local boutiques are always the best way to find cute clothes in your team's shades, however you can always shop online and filter your search results by the color you're looking for. That's exactly how I found these amazing pieces below! Asos, Red Dress Boutique and Nordstrom are some of my favorite stores to pick out game day pieces. But, maybe you're just craving a classic team tee? Well Etsy, Victoria's Secret Pink and American Eagle are the perfect places to look! Whatever vibe you're going for, you can finish the look buy grabbing a statement jacket and some classic jeans and shoes. For Jewelry, what better time to shop local?! These Baton Rouge themed pieces are by Mimosa Handcrafted who hand makes the most beautiful pieces! To find jewelry for your own city try checking out ETSY and local small boutiques! Also if you're stadium requires Clear handbags like Death Valley does, then you have to check out the Astor bag by Savvy Root. Another Louisiana Local! I rocked this bag for all of football season and beyond last year! It's the perfect size and a fashionable way to abide by the clear bag rule! 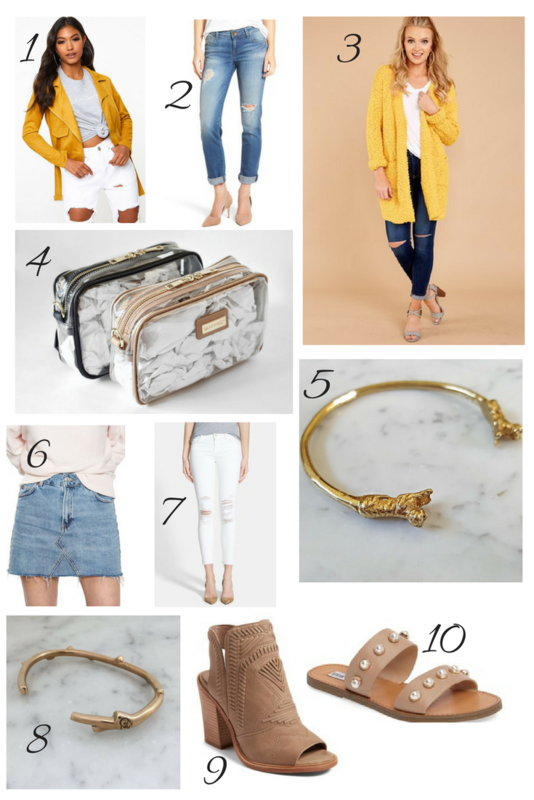 You can shop all of these pieces and more by clicking the links directly below each collage! Now I'm off to work. I hope that you are all well and safe. Especially, those of you on the gulf or with loved ones being affected by Harvey. This time last year, our very own city was devastated by historic flooding. I can guarantee that the devastation is far more acute and heartbreaking than what we're being shown on television. And I will be praying for you and sending whatever resources I can. Here are a couple lists of places to provide help. If you know of any others please leave them in the comment section! Love the graphic tees and all the ruffles! I'm so excited for football season. These are all such cute finds for gamely!! So many cute pieces! 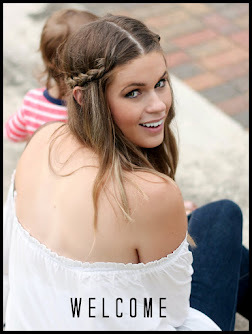 I am LOVING the gingham ruffle top! So excited to finally watch some Tiger football this weekend! Love all of these options!! Of course I love me some Tiger football as well!! !